Solutions. Our motto to provide low cost & high quality automation solution using pneumatics through Innovative product & methods. for chemical transferring through diaphragm pumps & GPS Vehicle Tracking Systems. India. We will reach in all the cities of India in a small span of time period. 1.Auto Track with Location Map & Address : The vehicle will be located where & in which it has been stationed and its route, we can locate the full address of vehicle where it is stationed. 2.Voice Monitoring: Voice Surveillance System. 3.ACC Ignition OFF Control: SMS Based Operation. 4.Fuel Ignition OFF Control: SMS Based Operation. 5.SOS Alarm Remotely Moniter: 3 Mobile No Can Be Tagged. 6.Report: One can take the report daily on the mobility of the vehicle and we can take the report on the duration of the period which they require. One Year Report can be generated. Reports taken in the EXCEL FORMAT every month. OLD DETAILED REPORT FOR ONE WHOLE YEAR. 8.Speed Alert : While monitoring the vehicle, one can come across the speed alert if the vehicle crosses with speed limit. Say if the vehicle speed crosses beyond 60 kmp, then the speed alert will come on red. 9.Theft Monitoring : Theft monitoring can be done without the knowledge of the person while it is in misuse like theft. 10.Tracking by Time : The vehicle can be monitored on timely basis with the vehicle moment. 11.Current Location Report : The report can be taken while the vehicle in the current location. 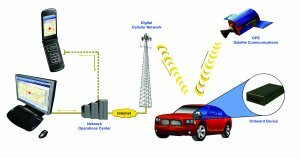 12.Tracking Via SMS or GPRS : SMS & GPRS alert can be given on the movement of vehicle. 13.Playback : The feature is unique and we can access 60days past history of our vehicle movement. 14.Hidden & Easy Installation : This model can be installed without the knowledge of the person who is driving the vehicle and it cannot identified easily.